Debbie Adler is the owner of the nationally renowned, allergyfree, vegan, glutenfree and sugarfree bakery Sweet Debbie’s Organic Cupcakes in Los Angeles. 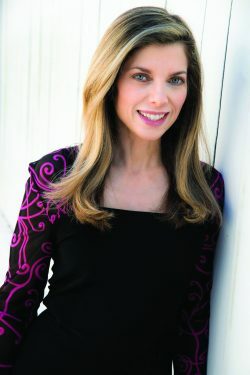 She is also author of the critically acclaimed, award-winning cookbook Sweet Debbie’s Organic Treats: Allergy-free & Vegan Recipes from the Famous Los Angeles Bakery. Debbie has appeared on national television and radio shows such as NBC’s Nightly News and NPR’s Here & Now, as well as in the Los Angeles Times and other national publications.